UN Secretary General Antonio Guterres has called for global support for the victims of terrorism and their families, stressing that it is a "moral imperative" to protect their rights and amplifying their voices will help to challenge the narrative of hatred that terrorism aims to spread. Recognising the impact of terrorism on the lives of ordinary people worldwide was the focus yesterday to mark the first International Day of Remembrance of and Tribute to the Victims of Terrorism. The UN General Assembly adopted a resolution last December and proclaimed August 21 as the annual day to honour and support victims and survivors of terrorism. "Supporting victims and their families is a moral imperative, based on promoting, protecting and respecting their human rights," the UN chief said yesterday. "Caring for victims and survivors and amplifying their voices helps to challenge the narrative of hatred and division that terrorism aims to spread. We need to provide victims with long-term assistance, including financial, legal, medical and psychosocial support." Terrorism continues to pose a serious threat to international peace and security, and Guterres pointed out that the UN, too, is regularly targeted. He recalled that this week marked the 15th anniversary of the bombing of the organisation's compound in Baghdad in which 22 people were killed, while some peacekeeping operations are under constant threat. Although more countries are being affected by terrorism, the UN said most victims can be found in just a handful, namely Afghanistan, Iraq, Nigeria, Somalia and Syria. 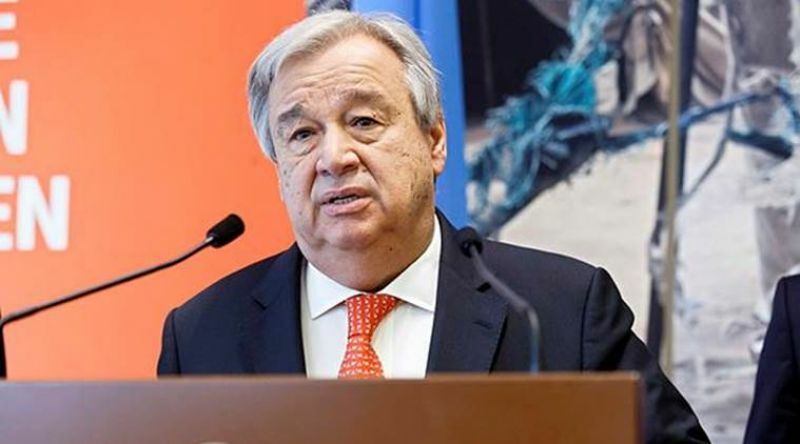 "But after terrorist attacks, we rarely hear about those who were killed and injured; the ordinary women, men, girls and boys, who were going about their daily business when their lives ended or were changed forever," Guterres said. "We rarely hear about their surviving families, friends and communities, who must learn to live with the burden of terrorism for their entire lives." The UN chief said the international day therefore serves as a reminder "to stop and listen to the victims and survivors of terrorism, to raise up their voices and recognise the impact terrorism has on their lives." He said terrorism is one of the most challenging issues today and a serious threat to international peace and security. "From Tajikistan to the United Kingdom, from Baghdad to Barcelona, these ruthless attacks have shaken us all to the core. No country can consider itself immune, with almost every nationality in the world falling victim to terrorist attacks," he said. He added that when nations lift up the victims and survivors of terrorism, listen to their voices, respect their rights and provide them with support and justice, "we are honouring our common bonds, and reducing the lasting damage done by terrorists to individuals, families and communities.